As promised in my last post, here are the more detailed plans. 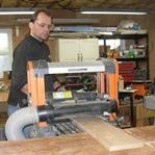 I will be unable to fully assemble this cabinet in my shop. It will also be way too heavy to transport in one piece. So these plans reflect my current plans to build each side separately. Hopefully limiting the size of any one piece to less than one hundred pounds. I should be able to stack it flat in my truck and be able to deliver and assemble it with the help of one of my teenagers, or possibly even by myself. I had grand plans of getting my sides done last night, but things never go as planned. 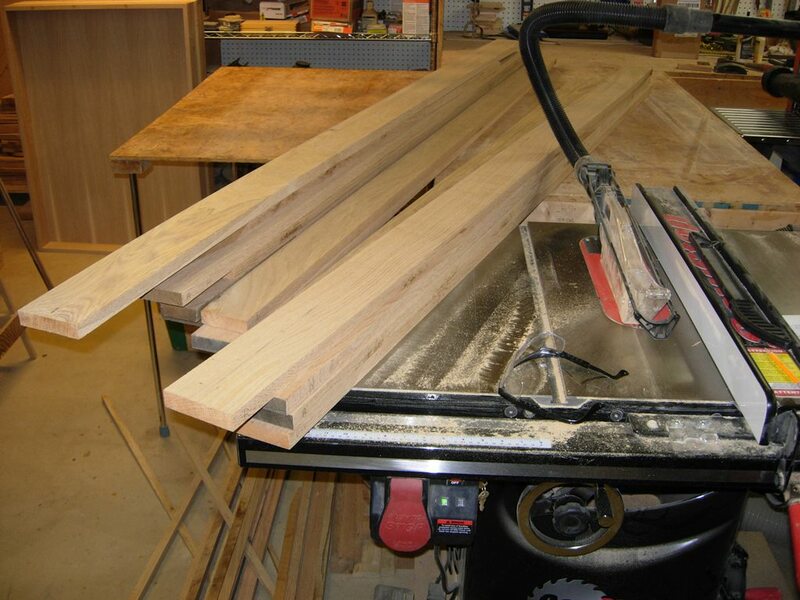 I determined that I needed to start cutting and planing down the oak, so that I had room to build the panels. So I sorted through the pile and pulled out the 8′ long boards and started cutting them down. To save the planer a little effort, I ripped the boards down to their correct widths before taking them to be planed down. 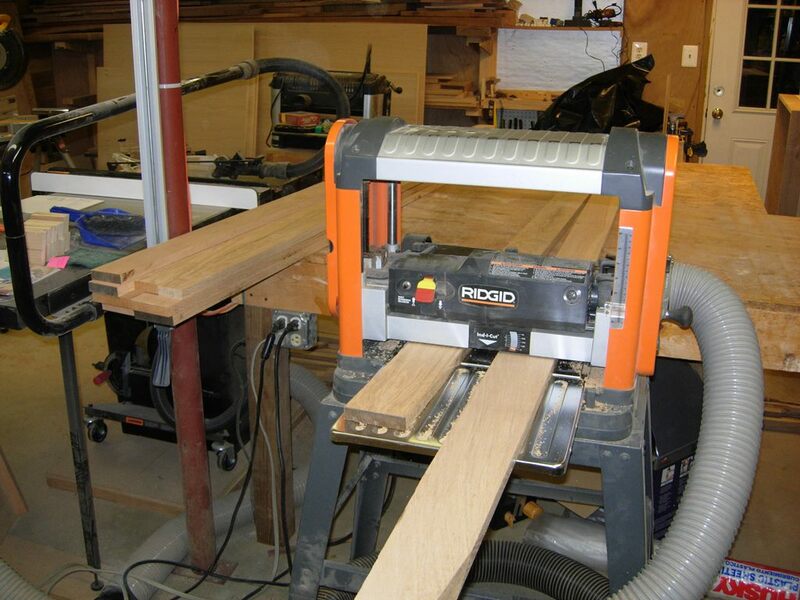 My little Rigid planer does the job, but it is not the fastest at it. 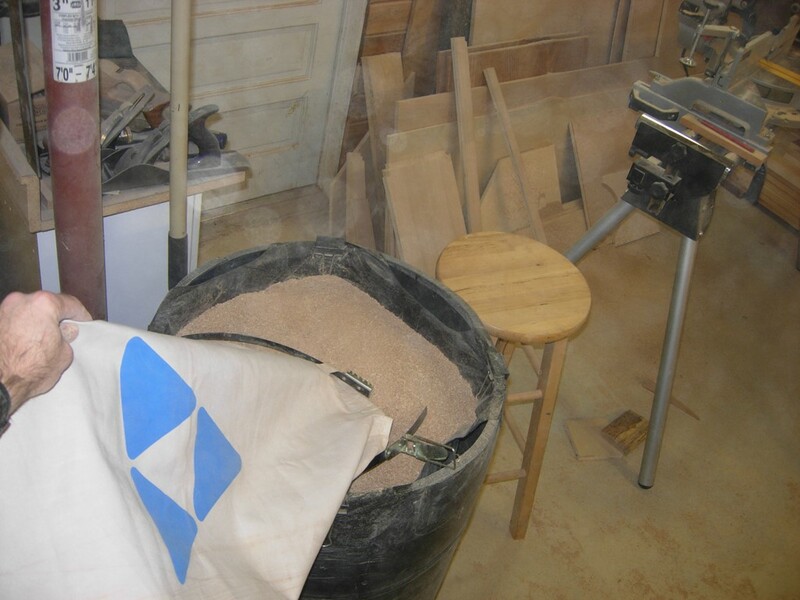 After 3 hours of sorting, cutting, and planing, I had another 40 gallons of saw dust and a small pile of wood. Perhaps tonight I will be able to get the shorter boards planed down and be able to start assembling things. 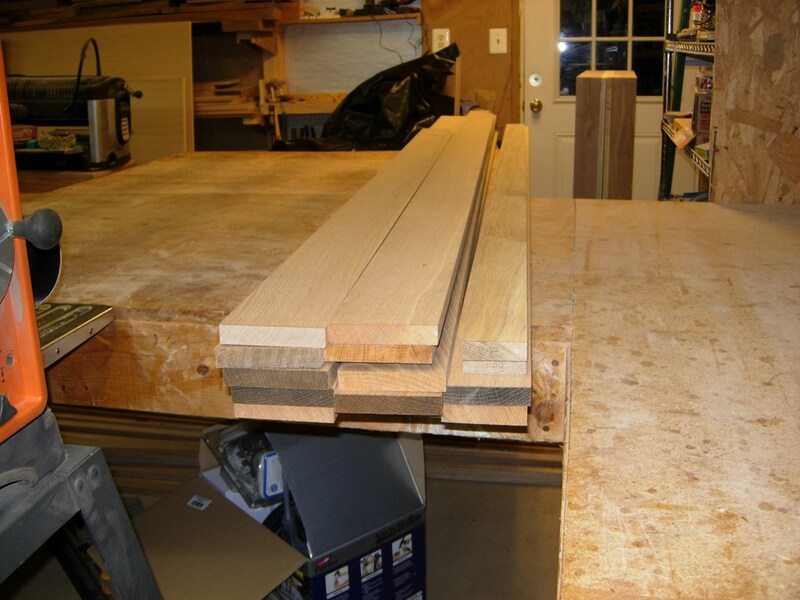 This entry was posted on November 21, 2013 by Lwroten in Church projects, furniture, plans and tagged oak storage cabinet, planing white oak, storage cabinet.